The project’s goal is to promote principles of stewardship and justice in modernizing the Columbia River Treaty, which governs water and dam management on the Columbia River. The United States and Canada can update and modernize the Treaty as early as 2024, and represents a once-in-a-lifetime opportunity to change how the Columbia River is managed. Our specific goals are to restore the river (including the return of salmon and other native fish species to areas now blocked by dams), and remedy historic injustices done to the Columbia Basin tribes & First Nations caused by the dam-building era in the Columbia Basin. 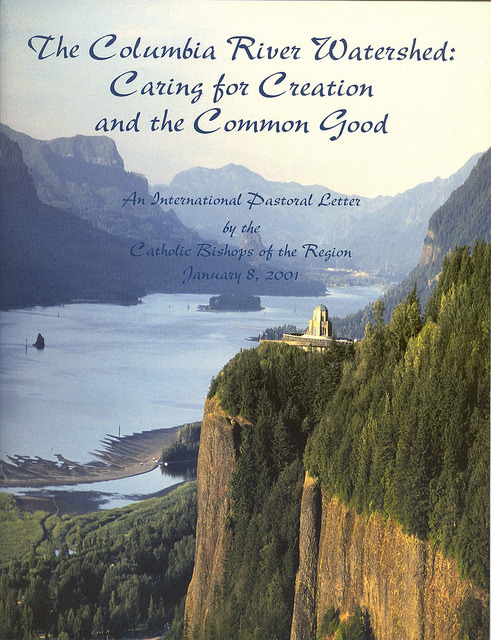 Based on the Columbia River Pastoral Letter by the 12 Roman Catholic Bishops of the international watershed combined with tools used by hospital ethics committees, in May 2014 Gonzaga University hosted a conference “Righting Historic Wrongs” on the Columbia Basin. The conference provided a forum for religious and indigenous leaders, scientists, and conservationists to discuss the impact of dams – acknowledging benefits while focusing on the wrenching damage and remedies through modernizing the Columbia River Treaty. There is a short (and moving) film of the conference that you can view: One River. Ethics Matter. In the summer of 2014, the project helped in supporting a series of 17 multi-faith prayer vigils starting in Astoria and moving up the Columbia River each day to the source of the river at Canal Flats in British Columbia. In October 2015 in Portland, Leotis McCormack (of the Nez Perce Nation and Columbia River Inter-Tribal Fish Commission) and Bishop William Skylstad welcomed people to our second “One River, Ethics Matter” conference. 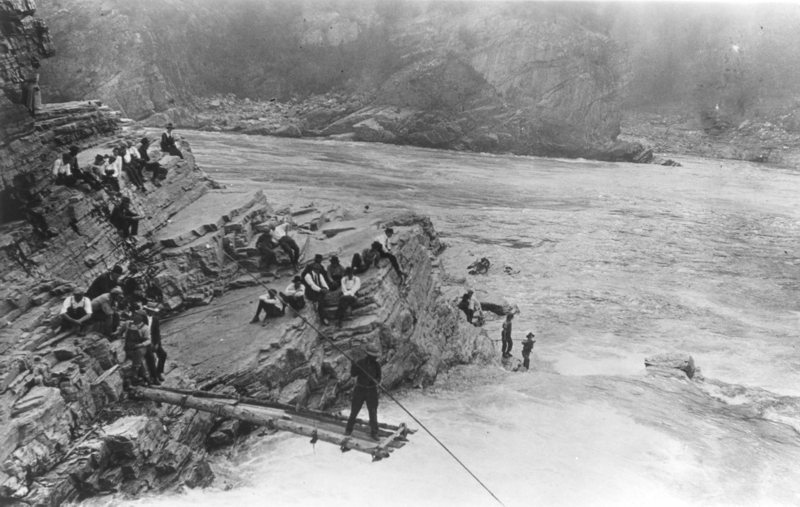 The Portland conference focused on the direct connection between the 1948 Vanport Flood and the destruction and permanent flooding of river valleys in the Upper Columbia from the Treaty dams. In the face of unfolding climate change, speakers explored how we meet our justice and stewardship responsibilities — including revisiting flood risk management in the Columbia River Basin. You can watch a brief film of this conference: Portland – One River, Ethics Matter. In March 2016 in Boise, Charlotte Rodrique (Burns-Paiute Tribal Chairwoman) and Martin Wells Bishop (Eastern Washington-Idaho Lutheran Synod) opened the river ethics conference hosted by Boise State University focusing on the Snake River, the Columbia’s major tributary. 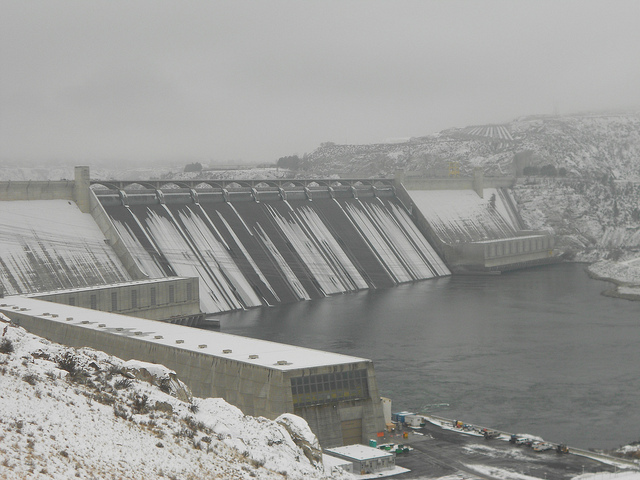 Two processes were the focus: re-negotiation of the U.S.-Canada Columbia River Treaty, and re-licensing of Idaho Power Company’s Hells Canyon Complex of dams. 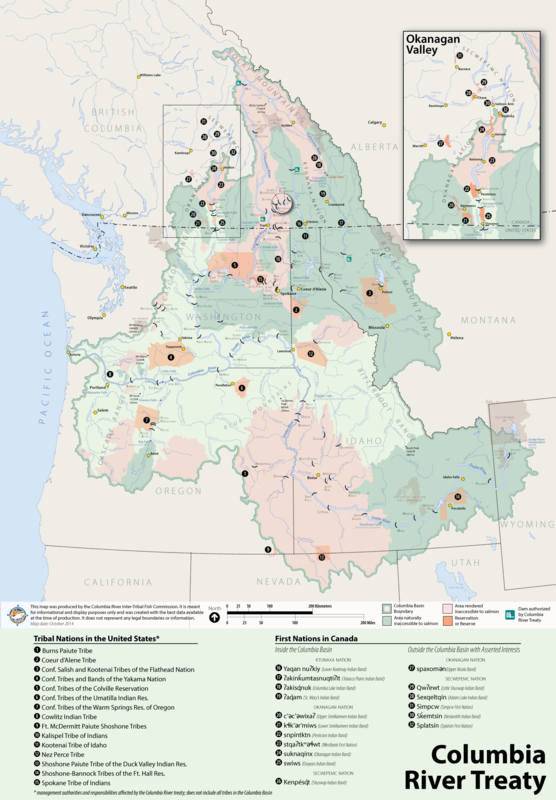 The costs of Snake River dams to tribes, and the exclusion of tribes from the decisions to build them, and from their governance since, are not well known. In May 2017 in Revelstoke, Jeanette Armstrong (author, educator, artist, and activist involved with the En’owkin Centre), John Corriveau (Bishop, OFM Cap, Nelson Diocese, Roman Catholic Church), and John Privett (Archbishop of Kootenay and Metropolitan of British Columbia and Yukon, Anglican Church of Canada) opened the conference jointly hosted by Mir Centre for Peace, Selkirk College, Okanagan College Faculty Association, and the North Columbia Environmental Society. In 1964, without consulting local people who would be impacted, the Canadian and British Columbia governments approved the Columbia River Treaty — and “Treaty dams.” Devastation followed. In 2018, the ethics conference series moves to Montana. Through this work, the Ethics & Treaty Project seeks endorsement of a basic concept: that human interaction with water should be guided by ethical principles of stewardship and justice. Grand Coulee dam built by the United States with the approval of Canada, blocked the return of salmon and permanently flooded Kettle Falls. Work is underway to restore passage for salmon so they may return home to ancestral spawning waters in the Upper Columbia and elsewhere in the Columbia River Basin.